Gotta love him. He's great to his fans. 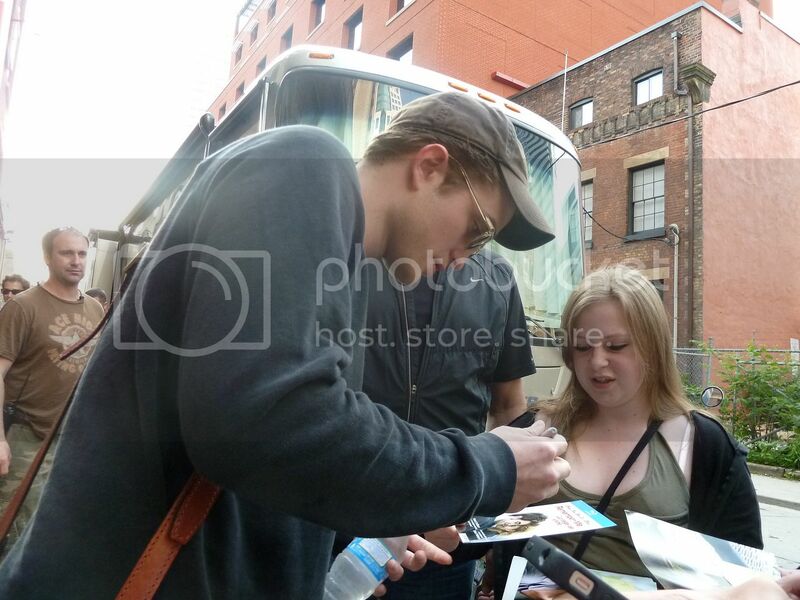 Today, while leaving the set, Rob signed autographs and our reader, Yukkei, shared her account and pictures. My friend and I waited almost 5 hours but it paid off! Caitlin was very nice and she gave us bottles of water because it was so hot outside. 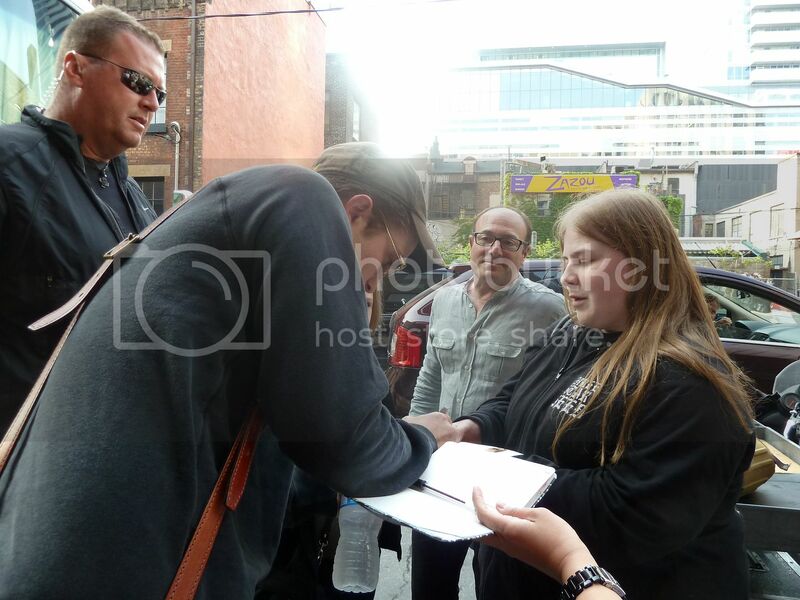 David was also very nice and took pictures with us. 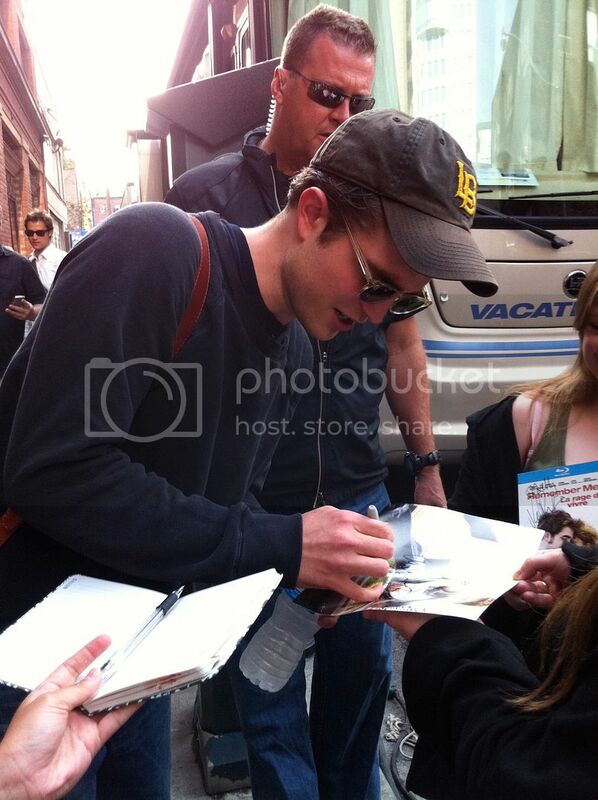 Rob was going in and out of his trailer to set but after they wrapped shooting, there were only about 6 of us and Rob agreed to come out and sign autographs but no pictures. 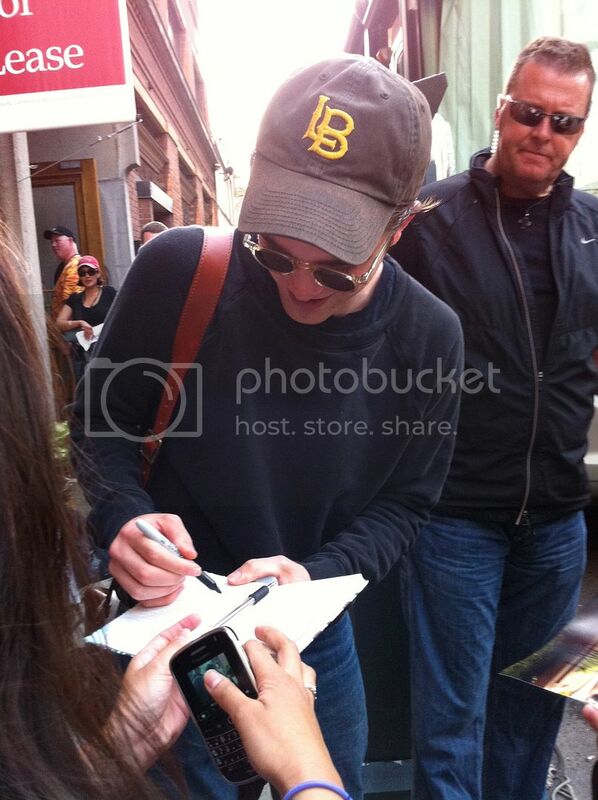 He was very sweet and so beautiful in real life! 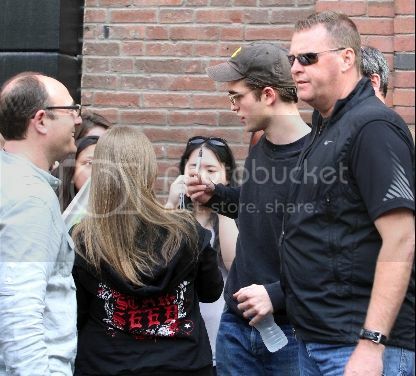 Both Rob and David said filming was going really well... day 4 of a 40 day shoot. 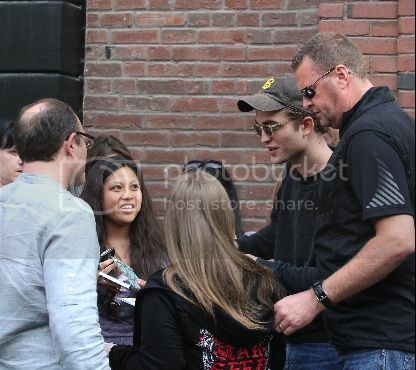 I posted her picture with David Cronenberg on CosmopolisFilm.com if you'd like to see. Thanks for sharing with us! HQ images and Popsugar account after the cut! 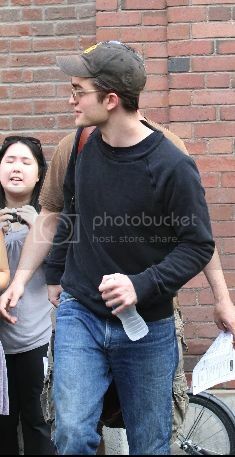 Robert Pattinson suited up this morning for another day on the Toronto set of Cosmopolis. 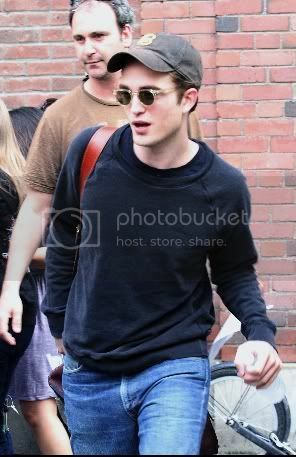 There was another sighting of the actor Saturday (Tink: Sunday), when Robert Pattinson and his costar Sarah Gadon worked on a scene in a very public restaurant. You are excited to see Robert tackle this latest project, a modern tale of a man spending a day in a taxi (Tink: Limo) while looking for the perfect haircut (Tink: just a regular haircut). 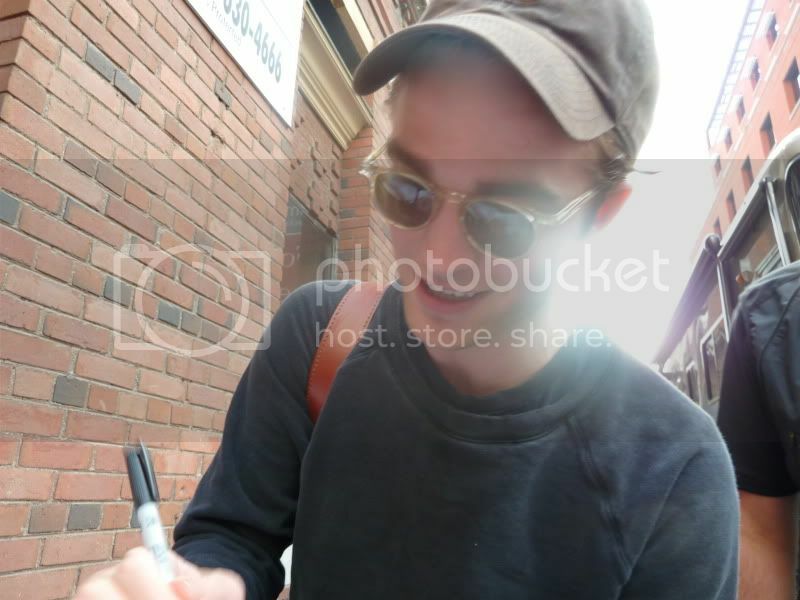 It seems fans were already excited to support Rob in the new role, as he greeted a group of girls after wrapping for the day with a smile on his face. 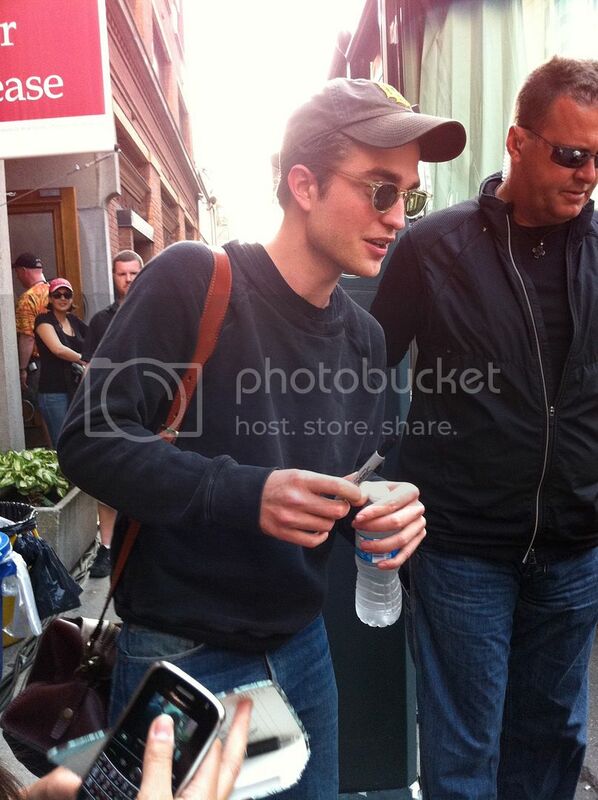 *NEW *Robert Pattinson on The Set of Cosmopolis! Rio Filme President Tweets About "Breaking Dawn"